We live in a world where the time spent organizing and planning has been reduced from hours (or even days) to mere minutes. The opportunity cost of not using available resources efficiently is now lost time on your hobbies, passions, or with loved ones. As a property manager, you have many responsibilities to maintain your property’s position as one of the best on the market, so don’t get lost in what seems to be a non-navigable sea of information. Read on for some tips on how to transform yourself from a property manager to a master of your time! Make sure you’re well rested, eat and exercise in accordance to your lifestyle, and be happy doing what you are in life. To accomplish what you want to do, taking care of yourself should be your number one priority. This will take some strategizing, but you’ll save a ton of time and money preparing short-, intermediate-, and long-term goals. A property manager can do this by creating a daily, monthly, or annual list, with your highest priorities at the top of each. This way the most important tasks won’t slip through the cracks, and by putting higher priorities at the top you can see the most immediate task to be done. For example, if your property needs some yard maintenance, you can save a lot more money scheduling that maintenance job before further determination of the yard. Money saved = more money for the future = less work = more time. Similar problems mean similar solutions. By grouping together tasks of the same nature, you save time by not going through each individual process in full for every task. Think about it this way: if you need to go grocery shopping, you aren’t going to go to the store to buy eggs, go home, then back to the store, then back to the store for milk. Bonus: Focus on one group of tasks at a time. If you diversify your focus too much, you may become distracted and not efficiently solve the problems identified, making short-term solutions for long-term problems. A great way to keep yourself accountable is by keeping an organized calendar. This not only saves time and money by giving yourself deadlines, it’s an important reminder of your goals and priorities for your property. Being ahead of time gives you and your property a competitive advantage over other listings that are not. However, you must make this a habit. If you need a monthly clean, schedule all your cleaners each month for the year rather than on a month by month basis. If you need a weekly open house, schedule each at the beginning of the month. Thus, you become more than just a property manager arduously “managing” – your responsibilities fit easily into your lifestyle. What makes all the before mentioned tasks so much easier is our access to technology that pretty much does the job for us. 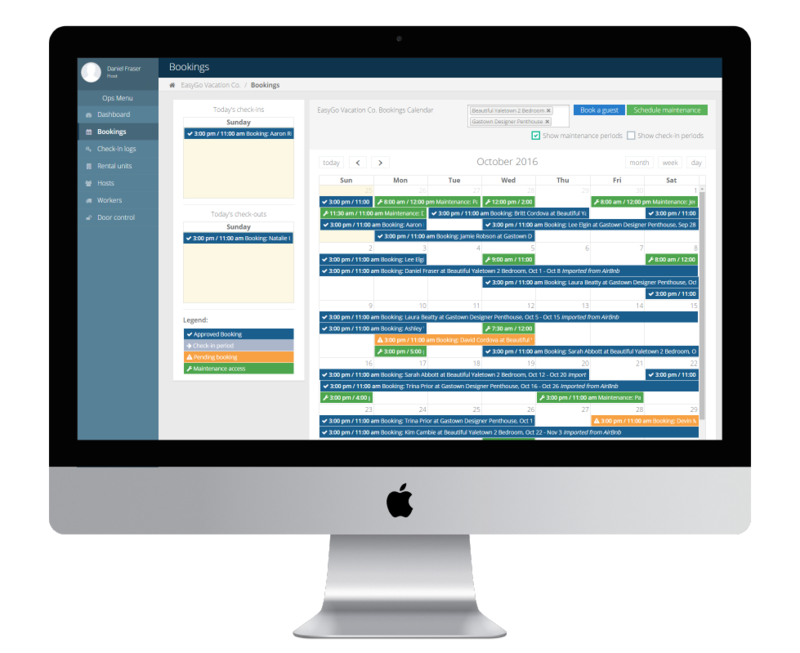 You can use automated scheduling for guest bookings, cleaner appointments, meetings, etc. What’s more, many of the apps you can use give you the option of periodic reminders. Others don’t even require much thought, like automatic payment and receipt alternatives. Even speedy ways of communication, such as texting or e-mails, is a great time saver. Keep in mind that your favorite celebrity tweets may not help you too well in your goals and priorities. TurnoverBnB is a new global platform based in Hawaii, connecting housekeepers and Airbnb hosts. We at TurnoverBnB created a free software tool that allows hosts to automatically schedule their cleaners for upcoming turnovers. The software syncs with your vacation rental calendar and automatically alerts your cleaners to new projects. EveryDoor is thrilled to announce that we have teamed up with AirGMS Technologies to integrate our keyless check-in system with their Airbnb management software. Airbnb hosts using AirGMS can now easily check-in guests without keys thanks to our new partnership. EveryDoor is the check-in automation platform for short-term rental businesses. We pride ourselves in helping reduce the time hosts spend managing and exchanging keys to seconds and clicks. Our software connects to your apartment intercom systems and smart locks and makes it easy to automatically give your guests and cleaners access to your apartments, homes and townhomes. AirGMS has been a leader in the Airbnb software market since 2015, with already 14,000 Airbnb property listings in over 49 countries across the globe. We look forward to helping each other grow and serve your businesses better. AirGMS provides the same quality functionality on the web version as they do on the mobile version of their vacation rental software – enabling you to easily host your Airbnb management business from anywhere, without headaches. EveryDoor’s smart-buzzer system and smart-lock automation software will automate keyless check-in at your properties. By teaming up with AirGMS, we’ve made it easy to provide keyless check-ins for all of your Airbnb bookings and ensure your favourite property management tools work together flawlessly. Click here to get access to EveryDoor and start using keyless check-in for all of your AirGMS listings. Keyless access technology has become increasingly adopted by short-term rental managers and hosts. Technavio predicts that success of rental businesses will be correlated with the technology property managers and hosts are using to manage their units. A recent study estimates that “70% of vacation rental managers have installed a WiFi or electronic lock in their vacation rental properties”. An electronic lock is a great solution to help eliminate key exchanges and manage time but comes with its own time-consuming issues. Does your key exchange process make the most of the many keyless access technologies available? Let’s take a look at the different types of keyless access technologies, and ways to automate managing them to bring the greatest benefit for your business. What Keyless Access Systems are Available? Electronic locks, smart locks, and apartment intercoms are types of keyless access systems offering an alternative entry solution that allow you to unlock and lock doors without using a key. They could be a knob/lever door lock, or a deadbolt lock with an attached electronic keypad. Keyless entry is commonly used on the front doors of short-term rental homes or apartment units to provide secure access without having to exchange a key. There are different types of keyless access systems on the market designed for hosts and property managers of vacation rentals. Electronic code locks and smart locks are commonly used keyless access systems for short-term rental managers. An apartment buzzer or intercom system is a keyless access tool to grant entry to a front door of an apartment building or condominium. Most of apartment intercom systems are simply connected to a telephone line and can call any programmed number. What is a Check-In Automation System? A check-in automation system is a software solution for businesses that automates authorization of entrants to a large number of apartment buildings, apartments, and houses using intercom systems and smart locks. The system incorporates pre-existing data from booking calendars and cleaning schedules to automatically provide access, improve security, and standardize management of most doors and locks. This business solution differs from other keyless access systems (electronic locks, smart-locks, or intercoms) which primarily allow an individual to remotely control access to one door. A business check-in automation system makes it easy and quick to deliver a smooth keyless check-in experience for guests and frees up your time to expand your business and add new properties or clients. EveryDoor Services goes one step further to make keyless entry reliable for your guests and help save you time to grow your rental business. EveryDoor syncs with the vacation rental platform(s) or the property management system you use to automatically add all bookings and send entry instructions to your guests. This system can schedule independent keyless check-ins and cleaner visits, provide emergency on-demand access, and control your whole organization’s access operations — all from one place. We want to be your partner in ensuring check-in automation becomes an advantage for your business and your guests. Let’s chat! Email us at welcome@everydoor.io or complete our contact form below. How Many Units Do You Manage? Short-term rental management has its risks. Theft of items, property damage, personal safety, and accident liability are your responsibilities as a host, and your guests expect you to have them covered. 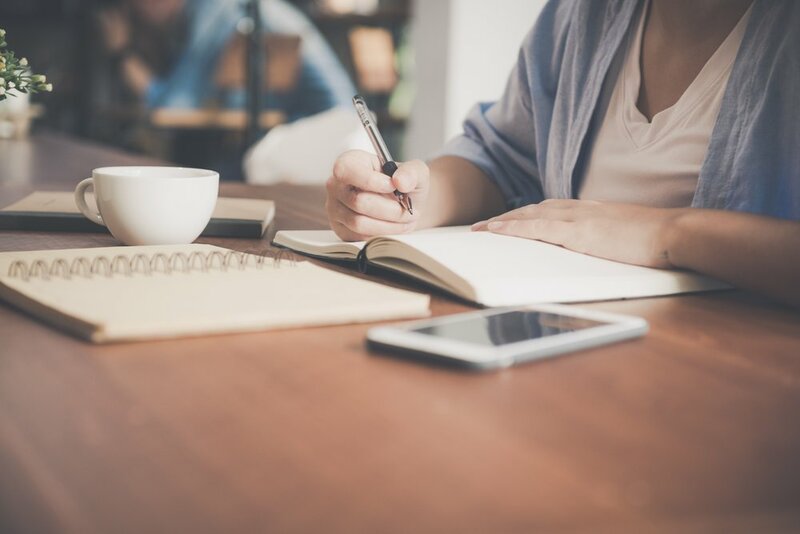 Get up to speed making your vacation rental business responsible and secure by reading a few of our tips, and avoid costly mistakes that may result from lack of preparation. When selecting an appropriate guest for your property, do your due diligence and see if they will be a good fit based on the information available to you. Starting with their personal profile and the “About Me” section on their vacation rental profile, take note of information that may reveal interests, maturity, and age. If the guest has social media accounts linked to their VR profile, delve deeper and get a better idea of what the guest is like. If their accounts are not linked, a simple Google search of the guest’s name or email may do the trick to reveal social accounts. Airbnb even provides members the option of uploading a picture of a government issued photo ID to verify their identity, which grants them an “ID Verified” badge on their profile. Once you are comfortable and feel the guest will be an accountable visitor, take a look at their reviews. Now, most hosts will typically give rave reviews of their guests, to make certain of a good review in return. As best as you can, try to interpret when the host is trying to be honest about their disappointment in the guest. Reading between the lines, and being aware of what the host is NOT writing, could be an indication to ignore the guest’s request. For instance, most hosts will write “We hope to host (guest) again,” if they are satisfied with guests. A host avoiding this statement in their review may indicate they do not want those guests to return. A smart property owner/manager understands that problems arise and are prepared for when they do. A security deposit is one way to protect a portion of your property, but often not enough protection when working with numerous units. Typical vacation rental security deposits are around $200 or 10% of the total weekly rate, but it is entirely up to the host to set the price (Homeaway). Applying a deposit to your rental may hinder a negative reaction from some, but won’t scare off guests that care about safety and security, and are probably not the types to lose their deposit. Quiet hours are between _:__a.m. & _:__ p.m. There is no way to ensure your guests are all following the rules, that is just one of the “perks” of managing a short-term rental. In addition to having a house manual that outlines the rules, some hosts will hang reminder signs (ex. No Smoking/Fires), provide slippers (to promote shoes off), or install precautionary devices like sensitive smoke alarms, front door cameras, or wireless controlled thermostats to make it tough to break the rules. Another way to address those who may not follow the rules is to make the consequences for actions clear to all guests, and strictly enforce them. Some hosts, however, won’t hold the guest accountable (keep security deposit) to avoid the headaches of a bad review. VR forums like AirHostsForum.com are great places for hosts to gain feedback on what to do in sticky situations like this. No matter the neighbourhood, and no matter the guests, security should always be considered a top priority for VR managers. It is important to stay up to date on what your VR management system offers, and what other hosts are using. In addition to being able to grant access to all guests, workers, and hosts, EveryDoor allows you to view all active Smart Locks from one interface, and control their status. For example, if you notice a worker failed to lock the door after cleaning or maintenance, you can easily lock that door from wherever you are, using the EveryDoor app on your phone or desktop. There are many risks in allowing strangers in your home and vacation rental owners need to stay up to speed with how to prevent incidents. It is unfortunate, but criminals of all types do exist in the short-term rental world and will use vulnerability to their benefit. Don’t make it easy for criminals to choose your property to target and keep your guests happy knowing you follow extreme measures to ensure they are safe and secure during their stay. Are you interested in improving your rental business by adding keyless access automation to your properties? EveryDoor is the secure keyless access automation solution designed for vacation rental professionals like you. Learn more by filling out the submission form below! How Many Unit Do You Manage? The market for short-term rentals is growing at an accelerating pace. Whether it be due to the increased popularity of travel, or the fact that revenue is expected to show an annual growth rate of over 9% by 2021 (Statista). The market is becoming more lucrative, and thus more competitive. It is time to consider what strategies you need to appear as a highly desired host or property manager. Numerous services exist to assist in the operations of your short-term rental unit, with keyless access automation being a new technology designed to help you eliminate key exchanges, cut costs, and manage more properties. Do you know where your keys are? The Airbnb community of hosts and property managers are frequently discussing key issues they are facing in the short-term rental market. Maki in New York says: “Although I have a strict 11 a.m. checkout rule - a lot of guests are leaving much earlier - and my guest will be leaving at 2 a.m. in NY! Is there any trusted Airbnb connected service for key exchanges at odd hours?” Meeting a guest to exchange keys is a welcoming gesture and a great way to add security, but with the increase in units and guest requests, key exchange can become next to impossible. In addition to the key exchange being an unpredictable and unwelcome distraction, lost keys and key malfunctions commonly arise as well. There is nothing more frustrating than receiving an unexpected call at unwanted hours asking for assistance with entry, or numerous keys being needed because renters of one property are 'coming and going'. Ann in Bath writes: “My guests have lost the front door keys. This is very annoying because the main front door is used by 5 flats and I am worried about the loss of the key into my front door.” When the guest has even the smallest of schedule changes, managing time becomes difficult and security may be compromised. This results in property focus cutting into your personal time, or a slump in business. These hiccups, if not handled with respect, patience, and attention, could seriously distort the success of your property rental business and the trust you have built with guests. Key boxes are commonly used by rental hosts to provide guests with their keys upon arrival, which allows for more flexible, or even 24 hour check-ins. This solution frees the host from being present at the moment of the guests arrival, but does not save enough time. These boxes also have small storage space and can be costly, so having multiple boxes to hold keys for guests, maintenance workers, and cleaners is a big investment, and time sucker. With keyless access automation, the only time hosts need to be involved with “keys” are when the door lock batteries require replacement. In the event that guests lose their keys, or immediate maintenance attention is required, you are able to provide emergency on-demand access with ease from any location. A robust keyless access automation solution will allow you to take that vacation you’ve been waiting for, control key scheduling from the beach, and rest assured entrants will always have access when needed. We’ve been using EveryDoor for over a year, on 10 apartments. We absolutely love the convenience of being able to schedule access to our apartments for house-guests, cleaners, and maintenance personnel. The top reviews on Airbnb often mention how impressed the guests were with the organization of the rental, physically and operationally. There is nothing more relieving to a guest than knowing their host is organized and prepared. It’s not enough anymore to simply offer a welcome binder and universal remote and expect your reviews to remain high. Keyless access automation is a huge factor in staying organized when managing multiple property rentals. With instructions on unit access being provided automatically after booking is confirmed, questions about check-in can be answered before your guests are even on their way. Your duty to provide entry for your guest can be completed shortly after the booking is confirmed and well before they’ve arrived at your property. Having an organized property access schedule automatically facilitating access to guests, cleaners, and maintenance appointments can only help you grow and fulfill your business goals. Not only do you feel more organized, but you appear more professional when scheduling mistakes are avoided and everything goes as planned. Short-term rental hosts/managers with many properties are implementing keyless entry solutions to provide their guests with a higher level of security and convenience while providing themselves with time to grow and expand. Your future successful short-term rental growth depends on great operations help, including time-saving keyless access management solutions. Now is the time to implement keyless access automation for your properties and gain a major operational advantage over your competition. Your staff and guests will thank you, and you’ll be prepared to confidently grow the size of your operation. Are you interested in making keyless access automation a competitive advantage for your business? EveryDoor is the universal keyless access automation solution designed for short-term rental professionals like you. Let’s chat! EveryDoor provides keyless access technology for all property door types to allow your company to manage access control tasks from one easy to use system. Both apartment building and rental unit locks are managed using our easy to understand web dashboard, and every property intercom system is enhanced with a keyless self-check-in method appropriate for the guest. This system can schedule independent keyless check-ins and cleaner visits, provide emergency on-demand access, and control your whole organization’s access operations— all in one place. The four main areas EveryDoor will benefit your property management business are the key exchange, the check-in, the logistical operations, and the guest’s satisfaction. EveryDoor’s number one goal is to eliminate the key exchange with guests, to save time for improving your business in other ways. Not only will this provide a benefit to you, the property manager, but it also saves your guest’s time to do the things they intended to do upon arrival at their destination, without any delay. In addition to saving time being concerned with guests having their keys, cleaners and maintenance staff will also have immediate access without human interaction. This opens up the availability of your short-term rental and thus, results in higher sales. The EveryDoor system also enables keyless self-check-in for guests available 24 hours a day. 24-hour check-in is correlated with a higher ranking in the search results on Airbnb, with only 22.4% of listings having this feature. Not only does the keyless check-in improve your property’s legitimacy and ease of entry, but it also gives your property the Business Travel Ready check-mark on Airbnb. This is a great qualification to have for business guests who are traveling for more extended professional stays and are coming and going at unknown hours. EveryDoor’s automation technology will also benefit your business by reducing the dependence on manual key exchange methods and how you have been organizing them. With one organized and automated system, all of your access control needs are met in one location requiring infrequent maintenance. This allows you to automate apartment buzzer entry by syncing booking calendars from Airbnb, and scheduling the keyless access for each guest, cleaner, or staff member. Any one of your approved staff members is able to access and update the schedule. Ultimately, the EveryDoor system will give your guests an easier to access rental property, as well as flexibility for arrival, check-in, and departure. This trustworthy service is one your guests will find professional and secure, with no chance of getting locked out. With the short term rental industry expanding, guests are researching which property benefits them the most, and seamless and flexible self-check-ins provided by EveryDoor are the benefit they are looking for. EveryDoor does the dirty work of making keyless access control work for your rental business! We figured out how to work with old and new buzzer systems and a variety of smart locks to bring all your remote door control into one standard platform. 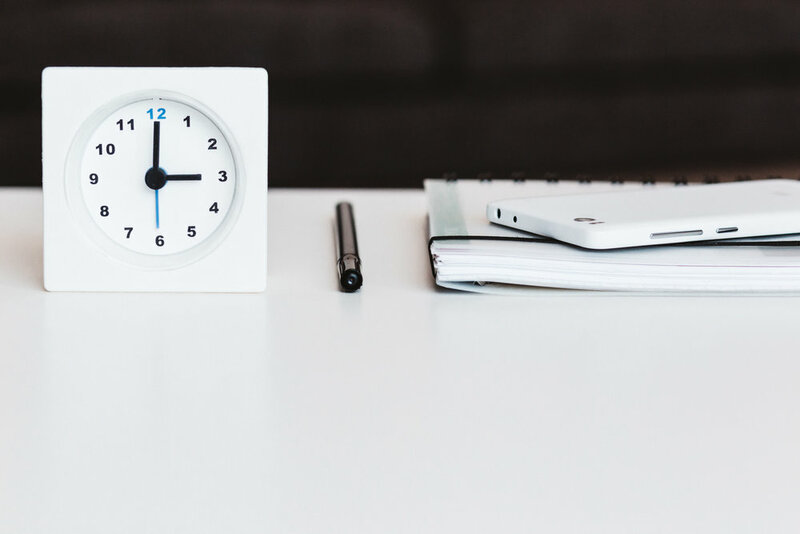 Using your booking calendars and pre-existing access control hardware, we can automate away administration overhead and integrate your operations processes with your technology. The result: you spend significantly less time managing keys, performing key exchanges and coordinating guest and cleaner access. What Does Our Platform Do? We create keyless access technologies for every door type so that you can streamline access control tasks resulting in a more powerful operations team. Every lock is controlled through our easy to use web dashboard, and every buzzer (common property intercom) is enhanced with an access method appropriate for any arriving individual. Accessible by any approved staff, access schedules can be created on-demand or automatically derived from your existing booking system. It all amounts to a single system which can schedule independent keyless check-ins and cleaner visits, provide emergency on-demand access, and control and oversee your whole organization’s access operations in one place. We can make keyless access technology work for businesses in exciting new ways. In the short term rental industry, the most common ways to facilitate guest check-ins are to meet the guest in person at the property (or paying someone to do so) or make the guest pick up the key from somewhere. This method can take many forms, such as outdoor lock boxes, hiding the key in a public place, stashing the key at an unfamiliar shop, or instructing the guest to pick up the key from an office. EveryDoor eliminates the need for these problematic key exchanges entirely. We make it easy for you to provide keyless access to locked apartment buildings and houses so that your guests can get their keys directly from inside your properties and enjoy their stay sooner. Incorporating EveryDoor into your operations will eliminate your key exchanges and key management headaches. Get hosting updates and tips from EveryDoor.